Okay, there’s more, but I suppose we all know that the result of the EU Referendum has without a doubt cast a shadow over any other news, but even then, life goes on. BREXIT – United Kindgdom votes to leave the European Union: On Friday June 24, 2016, many people (including the Lady) woke up to the news that majority in the UK had voted in favour of Brexit. Well, majority in London, Scotland and Northern Ireland voted against Brexit. The lady spent the entire day on this BBC webpage following the developments. How does this affect IP you ask. Well, if you are an ardent reader of the Manor, we covered that in previous editions of our Saturday Reads. Nevertheless, the links in our most recent Saturday Reads pretty much sums up all you need to know about the impact of Brexit on the IP community. You can catch up on all of that here. Innovation Prize for Africa Announces 2016 Winners: Big winners from this year’s edition of the Innovation Prize for Africa (IPA) awards are Dr Valentin Agon for his ground-breaking anti-malarial drug (Api-Palu) made from natural plant extracts; Dr Imogen Wright for her software aimed at testing for HIV drug-resistance medication; and Dr Eddy Agbo for developing a cheap, simple urine test for malaria. More on that here. Scientists create new bio-ink for 3D printing: Scientists from the University of Bristol have found a new bio-ink for 3D printing with stem cells that allows printing of living tissue known as bio-printing. The new bio-ink contains two different polymer components: a natural polymer extracted from seaweed and a sacrificial synthetic polymer used in the medical industry. Read more here. The Lady may or may not have revealed her vested interests in this emerging field of technology in this post. India may lose its position as the ‘pharmacy of the world’: Médecins Sans Frontières (MSF) has warned that if India adopts the proposals contained in the Regional Comprehensive Economic Partnership agreement (RCEP), the country will not remain ‘pharmacy of the developing world’. The RCEP, which has been likened to the infamous US-led Trans-Pacific Partnership agreement, is a regional trade agreement being negotiated between the 10 ASEAN (Association of Southeast Asian Nations) countries currently in Auckland. More on that here. Identifying the owner of an IP right in an employer-employee relationship can often be tricky, but no worries, this post is here to help you out. New decision by the Court of Justice of the European Union on what constitutes ‘communication to the public’. On sampling in Germany and the United States. Another feature on Germany by IPKat with this interview of Philipp Schröler about life as an IP lawyer in … (guess where). Then another IP Lawyer interview. This time, in India. Subject – Dr. Kalyan C. Kankanala, founder of Brain League IP Services, BananaIP Counsels and popular IP blog, SiNApSE. Did you know that an ISP could lose its safe harbour protection if it fails to remove infringing content expeditiously? An analysis of a recent decision by the Rome Court of First Instance in that regard can be found here. The quest for globally affordable treatment for Hepatitis C is far from over as shown in this analysis of a WHO-led study. More on India’s new IP policy from someone who is clearly not impressed. UPOV Convention enters into force in Kenya: On May 11 2016, the International Convention for the Protection of New Varieties of Plants (UPOV Convention) of December 2, 1961, as revised on March 19, 1991 entered into force in Kenya. Kenya, which is already one of the 74 members of UPOV, is the 56th member to become bound by the 1991 Act of the UPOV Convention.The purpose of UPOV is to provide and promote an effective system of plant variety protection, with the aim of encouraging the development of new varieties of plants, for the benefit of society.More on that here and here. India’s Patent (Amendment) Rules, 2016 takes effect: The Patent (Amendment) rules, 2016 making amendments to the Patents Rules, 2003 (Principal Rules) of the Patents Act, 1970 have taken effect from May 16, 2016. More on that here and here. CJEU Launches Mobile App: The Court of Justice of the European Union (CJEU) launched its application, CVRIA, for smartphones and tablets, which runs under both IOS and Android on May 11, 2016. The application is available in 23 EU languages which can be selected in the menu by the user. It provides easy access to the latest decisions of the Court of Justice, the General Court and the Civil Service Tribunal (including judgments, Opinions and orders), as well as the latest press releases. Also included is the Court’s diary, providing details of hearings, judgments and Opinions for the coming weeks. Obama signs Defend Trade Secrets Act:You would recall that the Defend Trade Secrets Act was passed by the Senate and House of Representatives some week ago. Well, President Obama has now signed the Defend Trade Secrets Act of 2016 into law, creating a new Federal cause of action for misappropriation of trade secrets. More on that here. Here are 5 things you should know about the Act. Indian Cabinet approves National Intellectual Property Rights (IPR) policy: The Cabinet has approved the National Intellectual Property Rights (IPR) policy with a view to promoting creativity, innovation and entrepreneurship. The aim is to create awareness about economic, social and cultural benefits of IPRs among all sections of society. The Policy lays down seven Objectives which are elaborated with steps to be undertaken by the identified nodal Ministry/ department. These objectives include include IPR public awareness, stimulation of generation of IPRs, need for strong and effective laws and strengthening enforcement and adjudicatory mechanisms to combat infringements. Films, music, industrial drawings will now be covered by copyright and by 2017, the window for trademark registration will be brought down to one month. More on the Policy here and here. Here are 10 things you should know about the Policy. Comments, additions and or amendments to the Drafting Instructions from the public are to be submitted to the Institute on or before April 30, 2016 via email: info@kipi.go.ke. Indian Government releases Indian Intellectual Property Panorama: The Indian Government has launched a customized version of IP Panorama Multimedia toolkit, developed by WIPO, Korean Intellectual Property Office and Korea Invention Promotion Association. The toolkit has been adapted to cater to SMEs and start-ups, especially in the ICTE sector of India, based on an agreement signed between WIPO and DeitY. More details here. 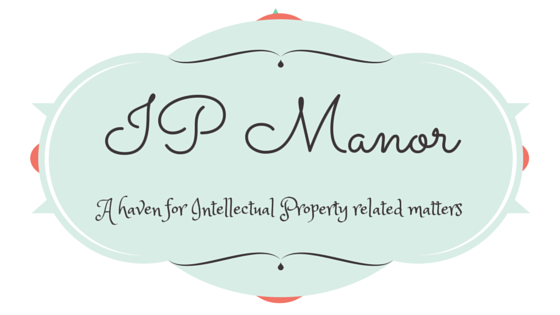 In the alternative, the Indian IP Panorama can be accessed here. GlaxoSmithKline to Restrict Patent Filings in Developing Countries: Patents have often been at the receiving end of the access to medicine debates. Accordingly, GSK has decided not to file patents in the world’s poorest countries (50 of them). It will file patents in lower middle income countries, but will grant licences to generic manufacturers in exchange for a “small royalty”. This will allow for generic versions of GSK medicine to be produced without delay and restrictions. In addition, GSK will put all its future cancer drugs into the Medicines Patent Pool. More on that here. While this is good news, the Lady is of the opinion that developing countries still need to invest in research and development given the abundant natural resources in some of these countries. One-day strike at the European Patent Office (EPO): On Thursday, April 7, 2016 workers of the EPO embarked on a one-day strike protesting management behaviour and demanding fair treatment of staff. More details here, here and here. Managing IP has published the final 2016 rankings of the top firms for copyright work in over 20 jurisdictions. More on that here and here for Nigerian firms.